Solar farming can greatly improve farmers' livelihoods and impacts, but policymakers are raising concerns about solar panels replacing farmland. By now, most Americans have heard of solar farms. But how about solar farmers? 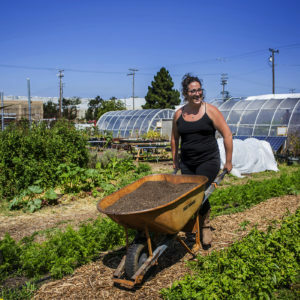 A quarter of California farms, nearly 2,000 altogether, are generating onsite solar energy, making it far and away the national leader, according to a 2011 report by the U.S. Department of Agriculture (USDA) outlining the use of solar on farms. Hawaii, Colorado, and Texas count over 500 farms producing solar power, while Washington, Oregon, New Mexico, Arizona, and Montana have over 200 each. But how farmers are solarizing that land has become a point of contention. While some have chosen to install solar panels, pumps, coolers, heaters, and more to decarbonize their farm operations and downsize costs, others—sometimes controversially—have stopped planting crops altogether in favor of solar farms. Last year marked U.S. solar’s biggest boom, and the trend will only increase as renewable energy, especially solar power, is more thoroughly incorporated into America’s 900-million-acre agricultural economy. Today, agricultural operations across the country are using solar to offset their costs in a variety of ways. The USDA report noted that a family-owned dairy in Maine installed one of the largest commercial solar thermal systems in the northeastern U.S. on its roof, reducing its heating oil costs by $14,000 to $20,000 a year. A cattle ranch in North Carolina installed a solar-powered pump to supply water to its herd of calves and cows. A sheep-farming family in New York installed a solar hot water system that covered more than half of its hot water needs. The list goes on and on. 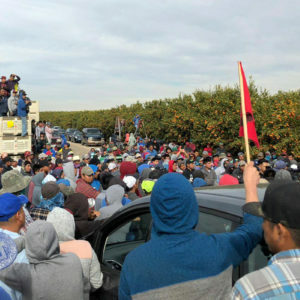 A California almond sheller solarized his 45,000-square-foot processing facility, offsetting 90 percent of his operation’s electricity usage during the state’s destabilizing drought. A central Illinois corn and soybean farmer installed a ground-mounted solar array to zero out his electricity costs. A couple farming corn in Nebraska installed 36 panels to cleanly power their workshop, which uses more energy than their entire home. Out of America’s top 10 farm states, North Carolina (surprisingly) and California (unsurprisingly) have managed to install America’s largest solar capacity, with 2,866 megawatts and 10,577 megawatts, respectively. They are certainly not alone. In her work with the ILSR’s Energy Democracy Initiative, Weinmann spent time exploring a customer-owned utility in southeastern Iowa called Farmers Electric Cooperative (FEC). From rooftop panels on farmhouses to ground-mounted arrays displacing riskier crops, Weinmann found that FEC’s adoption of solar impressed even the region’s technology-averse Amish and Mennonite communities. In 2015, the USDA helped solve this calculus when it announced the Rural Energy for America Program (REAP), freeing up $280 million in loans and grants to help “farmers, ranchers, business owners, tribal organizations, and other entities incorporate renewable energy and energy efficiency technology into their operations.” With another round of funding due to close on March 31, the USDA’s REAP program has so far proven to be a notable success, especially in more traditionally powered states where some might not expect solar to take off. “It has been very popular in North Carolina,” said Lisa Noel, the state’s USDA rural development energy coordinator, who explained that solar has traditionally been awarded most of North Carolina’s REAP funding. Solar’s potential to supplement farming income by displacing crops from farmland is where the controversy has come in. Last year, the North Carolina Sustainable Energy Association explained that solar companies are paying almost triple the state’s average rent for crop and pasture land, a no-brainer valuation not just for farmers looking for extra funding, but any environmentalist seeking to decarbonize agricultural operations, which currently are the second largest contributor to greenhouse gas emissions after energy production. Twenty-four million acres of agricultural land have been lost to development since 1982, and with this context in mind, some policymakers aren’t too happy about solar’s agricultural growth. In Connecticut, Republican Senator Craig Miner recently proposed State Bill 412, which restricts, without explanation, the use of incentives for development of solar arrays on farmland. 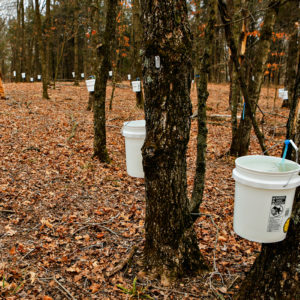 “The free market, absent some moratorium, is going to continue to eat away at farmland and eat away at forestland,” Miner told the Connecticut Mirror. Miner’s opposition is not isolated. In February, Michigan Department of Agriculture and Rural Development farmland preservation manager Rich Moore told the Huron Daily Tribune that farmers who decide to transform their properties into commercial solar farms may lose income and property tax credits bestowed under Public Act 116, also known as the Farmland and Open Space Preservation Act. Pushback on solar farming at the local level is garnering headlines beyond Michigan. In Washington, Kittitas County extended a moratorium on commercial renewable energy facilities through July. And while North Carolina has become a national solar leader, that hasn’t stopped Currituck County from issuing an outright ban on solar farm construction. Concerns from some in the agriculture world arise when farmers start to take advantage of solar’s lower-risk, higher-reward opportunities and pull out of farming entirely. Prime among the examples is none other than President Jimmy Carter, who famously added solar panels to the White House in the 1970s. Earlier this year, Carter converted part of his fabled peanut farm into a large-scale community solar array. A North Carolina farm family also decided against replanting a 47-acre, water-intensive cotton field, in lieu of renting their land to a solar developer for the local market rate, likely $500-$600 an acre annually, although terms weren’t disclosed. Part of the uncertainty around farm-based solar comes from the patchwork of regulations, incentives, and tax credits that nationally and locally shape the solar market. A state like Connecticut, which earns high marks for its overall policies, can still fall short in some of the policy areas that make solar desirable. While farmers have worked, and sometimes wrestled, with everyone from state officials to entrenched utilities to decarbonize their operations and stabilize their earnings, they have also planted the seeds of tomorrow’s renewable energy agriculture infrastructure, despite the odds. But examples of solar success continue proliferating. Total installed solar capacity is expected to triple over the next five years, and it would be foolish to think that farmers will not want to be a part of it. From greening their portfolios and operations to mitigating climate change, most farmers see themselves as part of the solution. Actually solar is not widely supported by the power company here in Arizona. The issue is, most power companies are not willing to pay for the power generated by solar anymore. Arizona for example, APS and SRP have now stopped buying solar power and charging the customers to hook to the grid. Power companies hate solar. It's cheap energy that anyone can get, which puts them out of business. 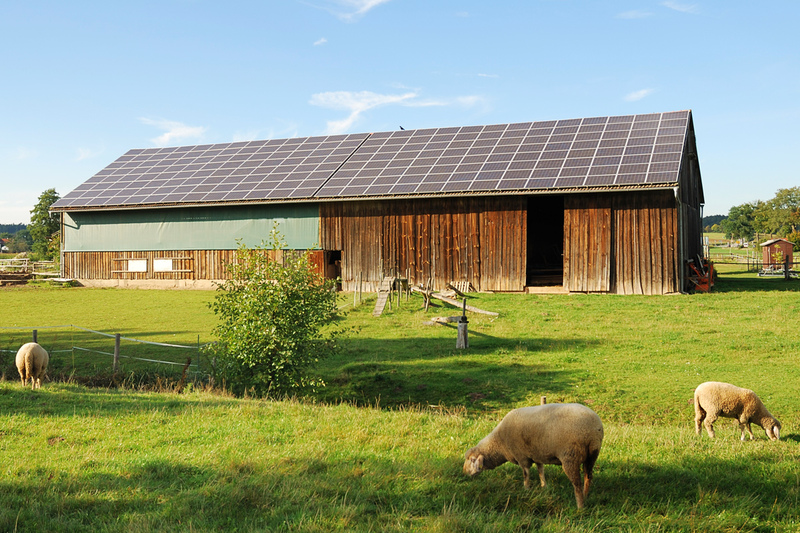 If a farm can install solar to help reduce part of their cost that's great, but I foresee a future where power companies will refuse to connect you to the grid and will refuse to pay unless it's on their terms and not on the farmer/customer. So be careful of what you wish for. These companies will eventually find a way to make it painful you did this. Good read and Great article.The Solar Power is considered as the new energy for us and it is green power for the environment. We should encourage more people using it in the life. Your article says solar makes financial sense for farmers. How much is SolAmerica Energy paying Jimmy Carter to lease his farmland? Thanks for sharing fabulous information. It' s my pleasure to read it. I own a small farm in NJ and certain understand the value of solar energy. This said, I view solar energy as a separate industry and not part of farming. We certainly don't refer to oil and gas farming or farming the land for minerals and coal. There are enough semi-permanent structures required for solar energy that the land can no longer be used for farming. It is a industrial process and should be treated accordingly and not confused with farming (growing food, animals or grain).